Chairman of the Board of Directors, the Secretary-General and Union Personnel entertain the privileges and immunities set forth under the relevant agreement of privileges and immunities of the Council of Arab Economic Unity according to the relevant terms and conditions and agreement with concerned states and countries. Minutes of meetings, resolutions, decisions, and recommendations of the Board of Directors and the General Assembly shall be written down in separate records signed by Chairman of the Board of Directors and Secretary-General of the Union. All such records, files and relevant documents shall be maintained at the premises of the Union. The Secretary-General or its delegate is to represent the Union in capacity of “Monitor” in the meetings to be held by the Council of Arab Economic Unity or any other Arab organization whose activities are related to the Union’s activities. The AUCE’s Board of Directors shall have the right to delegate the Secretary-General to invite Arab and international organizations and associations to attend the meetings held by Board of Directors as “Monitoring Bodies” to discuss technical issues having relations to such bodies and entities. 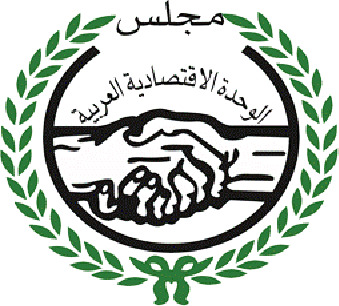 General Secretariat of Arab League and the Council of Arab Economic Unity, in collaboration with Arab organizations and associations having relations with the Unions’ activities, are to be invited to hold an annual meeting attended by Chairmen of the Boards, Secretaries-General of specialized Arab Unions to discuss the plans and exchange viewpoints to the aim of supporting the joint Arab action.